RSP Nutrition fast fuel pre workout powder supplement helps to improve increase endurance, build muscle, burn fat, recover faster, etc. 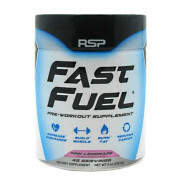 RSP fast fuel is concentrated pre workout powder with a full bcaa. It promotes training intensity & supports lean muscle building. 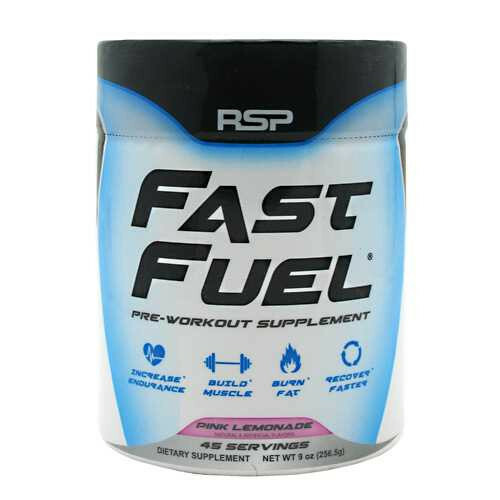 RSP fast fuel pre workout powder supplement helps to improve increase endurance, build muscle, burn fat, recover faster, etc. RSP fast fuel contains agmatine sulfate, arginine akg and arginine hcl, beta alanine and glutamine that increase energy and endurance. RSP Fast Fuel Contains Agmatine Sulfate, Arginine AKG and Arginine HCL. The only concentrated pre-workout supplement with a full bcaa profile, beta alanine and glutamine. It helps in intense energy and focus with no crash. RSP Nutrition Fast Fuel Powder is best supplement in the India. It is an award winning supplement and we never heard about any bad effects on it. RSP Nutrition Fast Fuel Pre workout Powder supplement also includes Citric Acid, Acesulfame Potassium, Natural and Artificial Flavors, Silicon Dioxide, Sucralose, Malic Acid, And Yellow #6., etc. Take one scoop of RSP Fast Fuel with 200 ml water per day before your workout. Please drink plenty of water every day. Note: All RSP Nutrition Supplements sold at Proteinsstore.com are 100% Genuine. Buy Best Pre Workout Supplement in India.